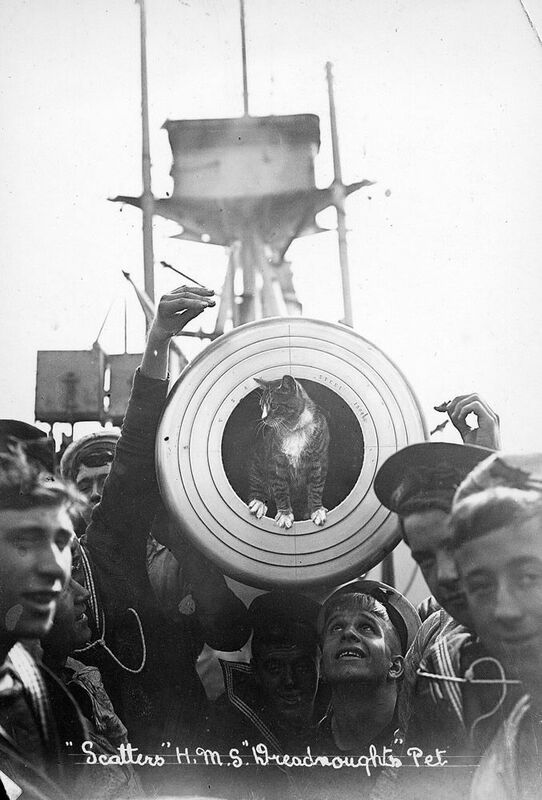 Cat sitting in the barrel of a 12inch gun on board the battleship HMS Dreadnought (launched 1906). Large group of ratings pictured stood underneath and to either side. Undated. This Ship's Cat on HMS Dreadnought Art Print is created using state of the art, industry leading Digital printers. The result - a stunning reproduction at an affordable price.